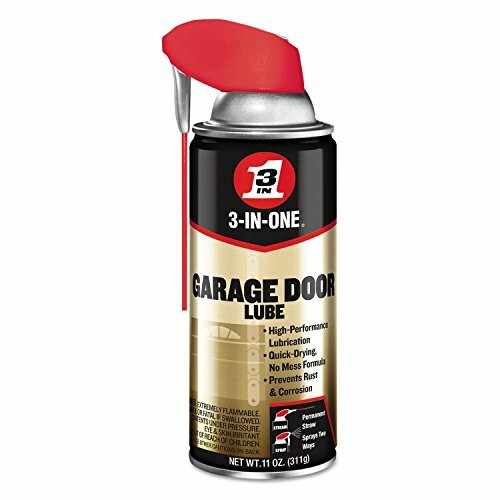 Use 3-IN-ONE Garage Door Lube to help maintain the operation of your residential or commercial garage door system. Regular application of 3-IN-ONE Garage Door Lubricant to hinges, door tracks, chains, pulleys, and latches prevents rusting, corrosion, sticking and squeaking. The lubricant also dries quickly without leaving a messy residue and minimizes dust accumulation. If you have any questions about this product by 3-IN-ONE, contact us by completing and submitting the form below. If you are looking for a specif part number, please include it with your message.